I am loving these silver disc beads with a sun pattern. 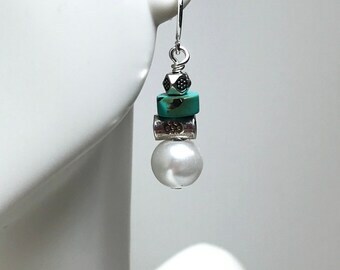 Here I paired them with several kinds of Turquoise and some glass spacers for a classic Summer accessory! 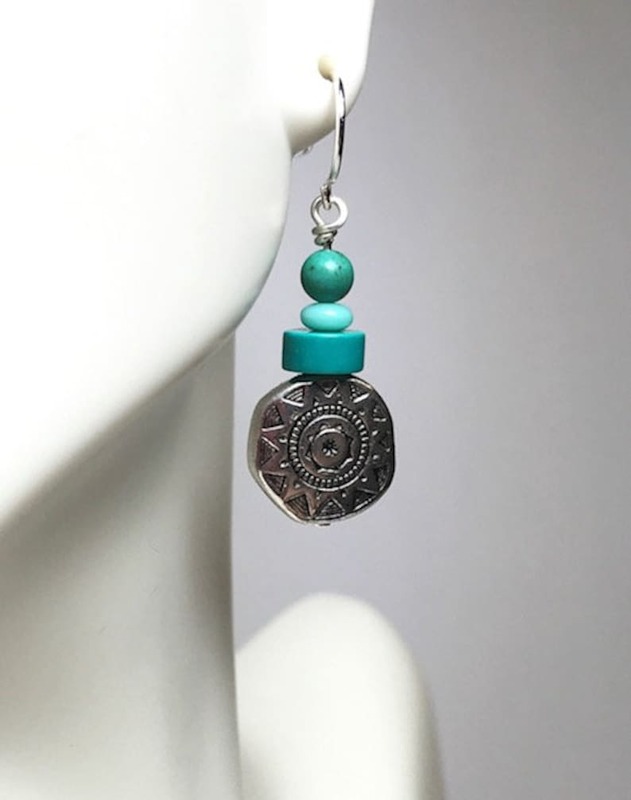 I use Sterling Silver-filled ear wires, and each pair of earrings comes with a pair of silicone ear nuts to hold them securely on your earlobes.